This one-day program is an introduction to the confined space environment. The pre-entry portion expands on the perception of what a confined space is, and the hazards to be expected when working in or around them. The foundation for safe work habits associated with industrial work sites is introduced. As well, the local sequence of events leading to confined space entry is covered in the theory portion and then put to use through a series of practical exercises. 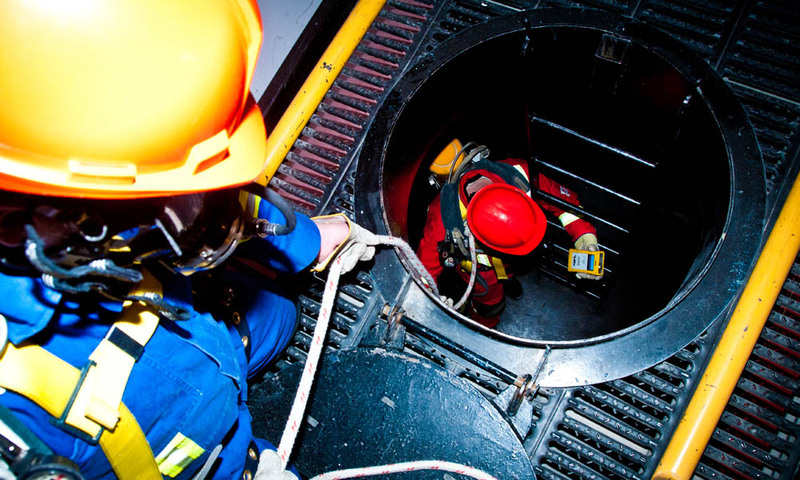 There is a written exam that, if successfully completed, results in the participant receiving a Global Training Centre Confined Space Pre-entry Rescue Certificate. The program consists of classroom theory and practical exercises. The objectives to this course are obtained through 100% participation, therefore, the candidate must be physically and mentally able to perform the tasks from an elevated position.